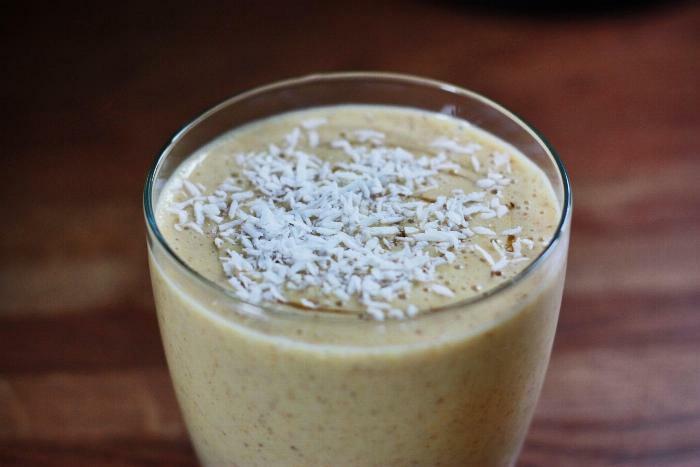 Complete with natural sweeteners, anti-inflammatory tumeric, and fiber -This recipe is perfect for starting your day off right, or even as a mid day boost! 1Combine all ingredients in blender (I use the Ninja blender with the blend Auto IQ and Smooth Boost Settings) and blend until smooth. Top with honey and shredded coconut. Feel free to mix up the greek yogurt used. A coffee flavored yogurt would be delicious as well!